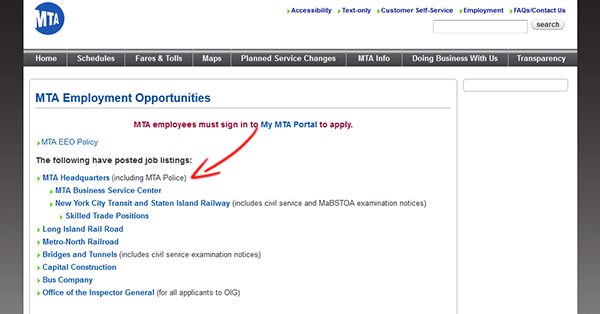 The MTA maintenance job application can be filled out and submitted by visiting the organization’s employment website. Follow the steps in the below guide to learn how to navigate the organization’s website, search for current openings, and fill out/submit an online application. About the Organization: The Metropolitan Transit Authority (MTA) is the largest public transit authority in the United States. It was formed in 1965, and currently provides commuter rail, local/express bus, and subway transportation services for the State of New York (and the surrounding area). 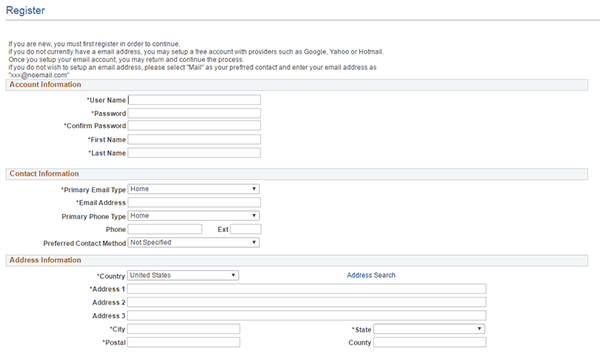 Step 2 – Click the “Headquarters” link to go to the next step of the process. 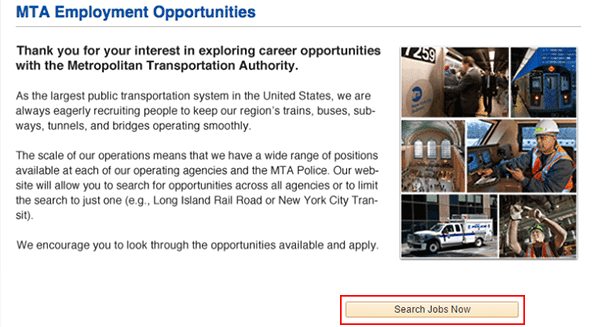 Step 3 – Click the “Search Jobs Now” button to load the main search page. Step 5 – Click the job that you want to start the hiring process for. Step 7 – Click the “Apply” button near the top of the page. Step 8 – Sign in to your account, or click the “Register Now” link if you need to create a new account. Step 11 – Once you reach the actual application form you will be required to enter standard information such as your employment history, education details, experience, skills, qualifications, etc.